You bet they fly upside down! 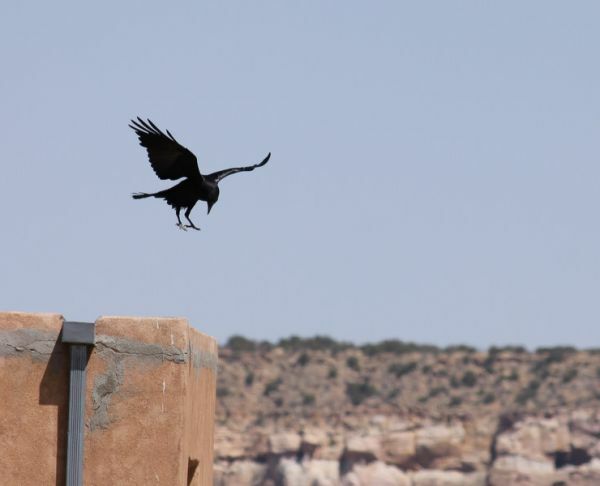 Ravens are very acrobatic fliers. I’ve seen them tumble together many times as they launch over the cliffs at Acadia National Park in Maine. They seem to get a lot of joy from doing this and might even be competing to see who can make the best moves. It’s so hard to describe how cool they are that I found a video of ravens sky-tumbling at Lundy Island, Great Britain. Watch carefully at 29, 40 and 44 seconds and you’ll see one of them completely flip over sideways. Awesome! Ravens are cool, but for speed you can’t beat a peregrine. While searching for the first video, I found this one of a peregrine harrassing two ravens at Culver Cliff, Isle of Wight. The big soaring birds are ravens. The very fast, smaller, flapping bird that appears from above at 3 seconds and 13 seconds is the peregrine. Thanks for this interesting article, Kate. As always a variety of bird species and interesting articles about them. I enjoy watching the ravens at Crooked Creek and this year while checking out their nest trying (never was able to) to see if another chick was in it as the adults and a fledgling have squawked and hollered at me and fly all around me when I’m near the nest. One often performs such acrobatic maneuvers and also does a wierd “jumping” dance on the top of the dam structure that looks like a small kid having a tantrum. It jumps up and down, flapping its wings, only about 8″ to a foot and looks almost like it also stamps its feet/claws when it hits the concrete. Kate, looks like the video links are missing, at least for me. Couldn’t take the suspense so I went and found them anyway. Love the flipping crows in the first, I’m just so conditioned to seeing birds right side up. See you Monday. aha! The links are fixed now. This was the nasty trick called “Doesn’t work in Firefox.” There are also plenty of “Doesn’t work in Internet Explorer”bugs so to avoid them I blog using IE. Sorry about that. Thanks for letting me know! These are wonderful. Thank you for sharing! Ravens are amazing.